Almost half of Americans do not agree with the U.S. intelligence community’s assessment that the Russian government was behind cyberattacks on the Democratic Party and Hillary Clinton’s presidential campaign in 2016, according to a new Morning Consult/POLITICO survey. 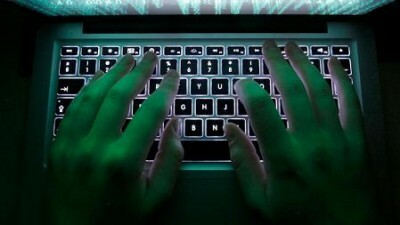 When asked to pick the statement that most aligned with their views, 46 percent of respondents chose one that said the U.S. can’t be sure who is primarily responsible for the hacking because tracing cyberattacks is complicated and because intelligence groups were wrong about weapons of mass destruction in Iraq. In contrast, 29 percent chose the statement that said there was “near certainty” that Russia is responsible for hacking and that intelligence agencies had used advanced techniques to determine that the former Cold War adversary is responsible. A quarter said they didn’t know or had no opinion. The Federal Bureau of Investigation and the Director of National Intelligence have backed the Central Intelligence Agency’s judgement that Russia interfered in the 2016 presidential campaign, according to news outlets such as The Washington Post, citing internal government documents. President-elect Donald Trump’s transition team pushed back on such assessments by pointing to the intelligence community’s determination that Saddam Hussein was hiding weapons of mass destruction in the country in the months leading up to the Iraq War that began in 2003. The responses broke down largely along party lines. 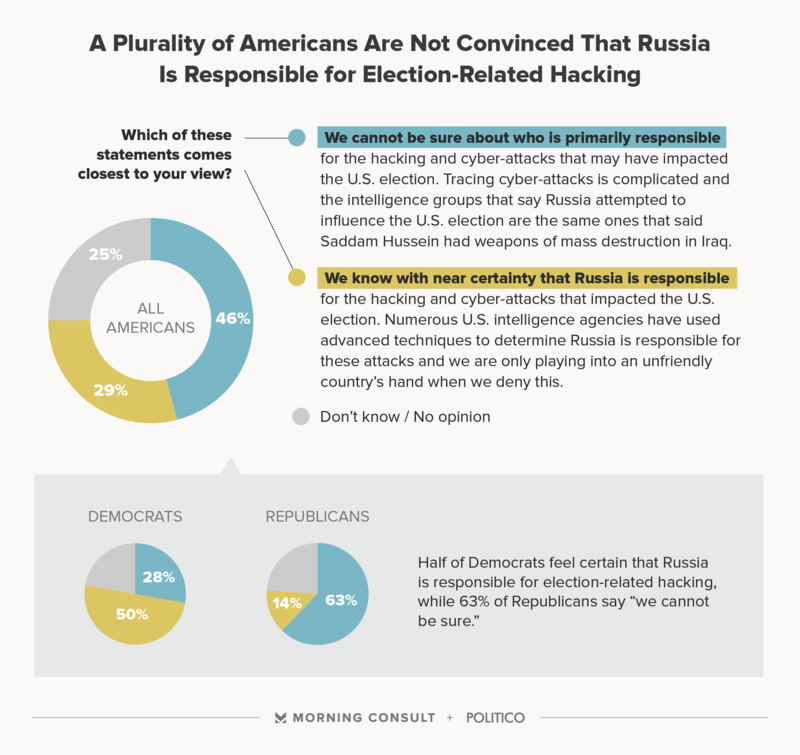 Sixty-three percent of Republicans said the U.S. can’t be certain about the cyberattacks, while 49 percent of independents and 28 percent of Democrats concurred with that view. Earlier this month President Barack Obama ordered a review of all cyber activity aimed at disrupting the 2016 presidential election. Senate Armed Services Committee Chairman John McCain (R-Ariz.) and incoming Senate Minority Leader Chuck Schumer (D-N.Y.) have called for a special select panel to investigate further. Trump has so far rejected U.S. intelligence findings that the Russian government was behind the election-related hacks. House Intelligence Committee Chairman Devin Nunes (R-Calif.) said Dec. 12 that opening a new investigation isn’t necessary. 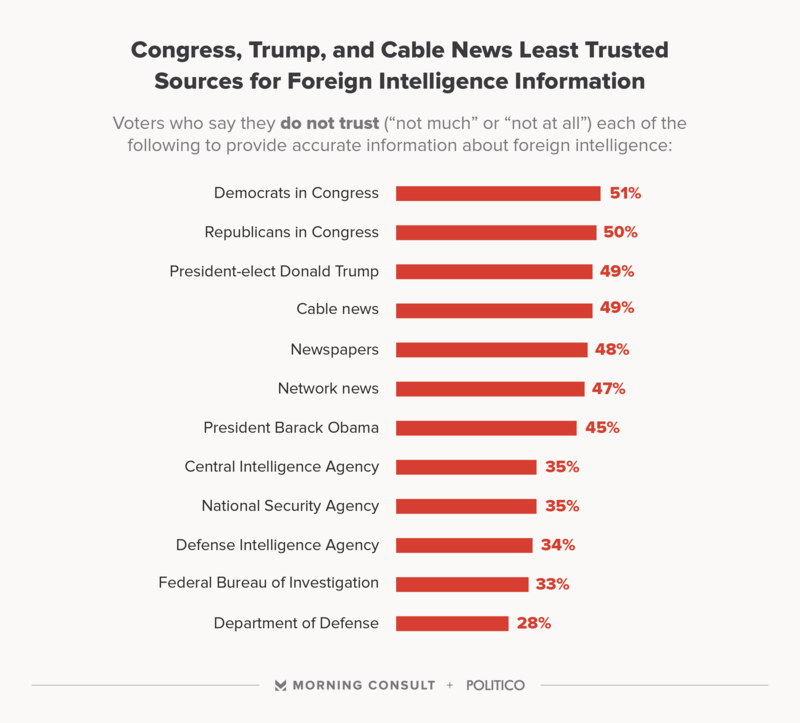 Democrats and Republicans in Congress and Trump were the least trusted sources of information for poll respondents when it came to foreign intelligence operations. About half of Americans (51 percent) said they trust Democratic lawmakers “not much” or “not at all” to provide accurate information, and 50 percent said the same thing about Republicans. Forty-nine percent held those same levels of trust about Trump. Despite doubts over whether the intelligence assessments are accurate, a plurality (45 percent) said it was important to raise questions about the democratic process and the accuracy of the 2016 election because of possible voter fraud or tampering by a foreign government. Thirty-four percent said it was dangerous and could lead to widespread mistrust in the electoral process. The White House’s report on Russian hacking is expected to be finished before Trump takes office on Jan. 20. Some experts are pushing Obama to respond forcefully to Russian meddling. If the White House report determines that Russia influenced the election outcome, just under half of poll respondents said they favor diplomatic sanctions (45 percent) and economic sanctions (40 percent). Twenty percent recommended retaliatory cyberattacks, and just 8 percent advocated for a military response. The poll was conducted among a national sample of 2,000 registered voters from Dec. 15 through Dec. 19. See toplines and crosstabs.